US Airways is offering 100% bonus miles on purchases made with select partners through June 23, 2013. The bonus amount depends on the number of transactions made with their partners. You must register for this promotion between April 22, 2013 and June 23, 2013. The amount of bonus depends on the number or US Airways partner purchases. Registration is required for this promotion. Registration begins on April 22, 2013 and ends on June 23, 2013. Only miles earned after registration and between April 22, 2013 and June 23, 2013 qualify (“Eligible Activity Date”). Eligible Activity Date is based on the date the qualifying partner records the mileage transaction, and not necessarily the date on which the transaction occurred. All Dividend Miles terms and conditions apply. You must be subscribed to US Airways e-Statement, You must be subscribed to US Airways e-Statement or Earn More Miles emails in order to register for this promotion.If you are not currently subscribed, we will automatically subscribe you using the email address you provide when registering. You may opt out of these emails at any time. This promotion is not a game of chance, lottery or contest. It is open to all Dividend Miles members except where prohibited by local law. 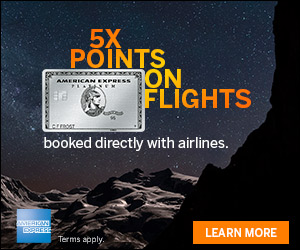 Members may only participate in this promotion with one Dividend Miles account. If a member is found to be participating with multiple Dividend Miles accounts ALL bonus miles earned from this promotion will be forfeited and removed from the member’s account. Miles do not count toward Dividend Miles Preferred status. US Airways is not responsible for the quality or delivery of goods and/or services provided by Dividend Miles partners. Participating partners and partner offers are subject to change without notice. This offer subject to change without notice. Offer excludes any partner sweepstakes offers. Qualifying Dividend Miles StoreFront transactions must also meet a minimum purchase amount of $50.00 to be deemed an eligible transaction. Bonus miles are in addition to miles awarded by Dividend Miles partners. In order to earn a bonus, a valid Dividend Miles number must be provided to the qualifying partner. Use of a partner without earning Dividend Miles will not count as a bonus. To earn a bonus, Dividend Miles members must click on partner offers through the US Airways website or request Dividend Miles when making a purchase. Transactions must have an Eligible Activity Date between April 22, 2013 and June 23, 2013 to qualify for the bonus. DM Storefront miles will be posted within 10 weeks after promotion end date of June 23, 2013. 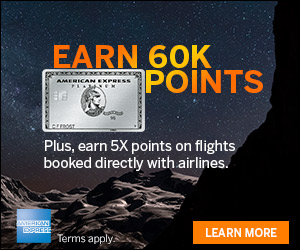 All bonus miles will be posted on September 8, 2013 and will be awarded based on the Eligible Activity Date, not the date in which the transaction occurred. US Airways assumes no responsibility for how qualifying partners count qualified transactions or record eligible activity dates; some partners record Eligible Activity Dates based on completion of the required activity (for example, delivery of the item purchased including delivery of flowers). You must check with the participating partner to confirm how the partner records Eligible Activity Dates and what counts as a qualified transaction. The last date that activity from a qualifying partner must be received by US Airways for bonus miles consideration is September 7, 2013, regardless of the Eligible Activity Date for such activity. Please note that some partner’s products and/or services are not available in all states. Registering for this promotion will allow members to earn 100% mileage bonus on purchases with select retailers through June 23, 2013. This isn’t as good as the Grand Slam promotions because it only awards the bonus miles based on the purchase amount. 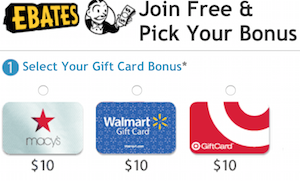 Still, if you were planning on purchasing items for Mothers Day or Fathers Day, consider checking out the amount of miles earned through this promotion compared to other portals you may use.